Minus40 received a very old refrigerated trailer today that has come in for a service and a top up of gas, in which our Minus40 customer has had this trailer for over 20 years. The trailer has traveled country wide and the customer is still very happy with it. He has made a few modifications to the trailer over the years to suit his needs and everything is still in a very good working order. The Minus40 Refrigerated Trailer is used for camping trips to keep the fish nice and cold, and is utilised on hunting trips. 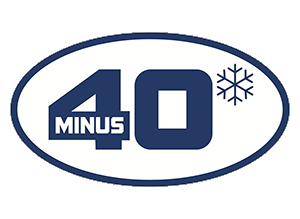 Another great example of Minus40 durability!